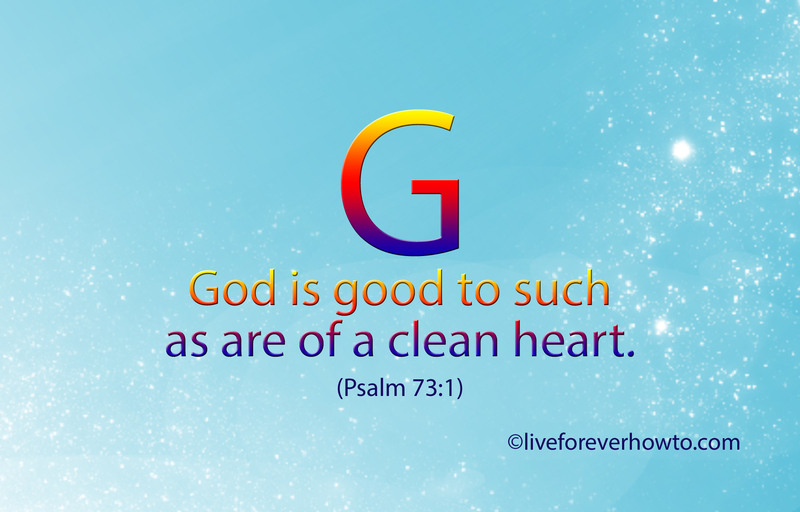 GOD is good to such as are of a clean heart. The reference on this Scripture card is taken from Psalm 73 which is generally accepted to have been written by Asaph, a 10th-century BCE Levite. Asaph served in Jerusalem for all of David’s reign, and it is believed that he set to music many of King David’s psalms. ‘What does it mean ‘to be of a clean heart?’ Psalm 73 grapples with one of life’s most troublesome questions as to why the wicked prosper and seemingly avoid punishment. This Psalm addresses the present prosperity of evil people and the sorrows of those who are of a clean heart. The Psalm is a warning to us who may at times be envious of the rich. It is a warning not to fall into temptation and a reminder to the wealthy that their riches, enjoyable as they may be, are temporary. I’ve certainly had a taste of that in my life. I’ve come to realise that if one has way more than those around them, this means that one is not sharing. One could say that I’ve fallen mightily and mainly through my own stupidity. I know that riches come and go but GOD and his love and powerful inspiring Word are forever.